A Wedding is one ceremony that bonds the two hearts together for eternity. Everyone aspires to have a perfect wedding, but not everyone can support a lavish wedding. One such commodity that converts your wedding to an expensive affair is the wedding cars. Wide ranges of cars are available according to the budget so that they can provide you with the best experience on your wedding day. Wedding Cars are available in numerous options like classic or vintage, modern or limos. The cars are available at affordable range and premier travel and also provide the best car to fulfill the dreams of the brides and grooms. They also allow the chauffeur to whisk away the two of you from the entire worlds on the most special day of your entire life. The cars are available according to the theme of the wedding; you can go for the classic beauties or the modern cars. The cars are also available for the wedding transport for the bride and the bridesmaid. Whatever your taste and budget, you can find the wedding cars that suit you perfectly. There are many options available to choose for the people living in Yorkshire. 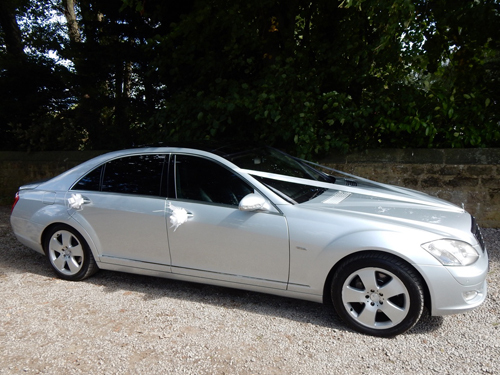 There are many sellers available for wedding cars in York. You can choose amongst many varieties of brands available like our Rolls-Royce Phantom, classic Rolls Royce Silver Spirit, Rolls Royce Phantom, Bentley, and Range Rover Vogue. You can personally view the car you desire with us. All the cars are equipped with the chauffeur and you can decide the dress code according to the theme of your wedding. They also provide you with the flexibility in payment according to the car selected. Choose the supplier that has the experience in organizing such services and also provides you with a wide range of varieties to choose from so that you don’t have to settle. • Vintage Cars- You can hand pick the car, all the cars are available in old English white and you have the flexibility to add the color of ribbon to suit your special day. The cars are available in York and the surrounding area. • Limos- A wide range of custom built cars are available for the bride and groom. You can also avail of the full wedding package. • Executive cars- Executives cars are classes apart and add that texture of glamor to your wedding and make the experience unforgettable. Ride with premium style on the best day for your life. Complimentary bubbly is provided, as is a large choice in wedding ribbon colour. chauffeur service, Luxury Wedding Car Services, wedding chauffeur and tagged Chauffeur Driven Cars York, chauffeurs york, york chauffeur service. Bookmark the permalink.